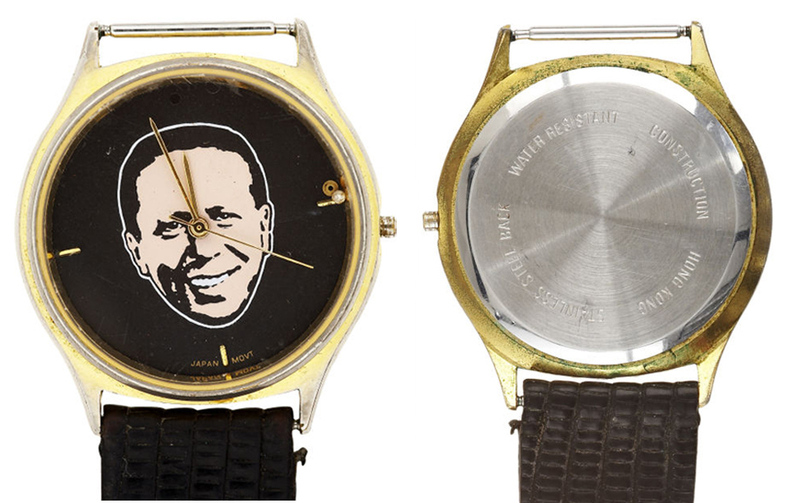 Here’s some information we have gathered so far… Kurt started wearing the “Tom Peterson” promotional watch made in Hong-Kong at the beginning of 1993. 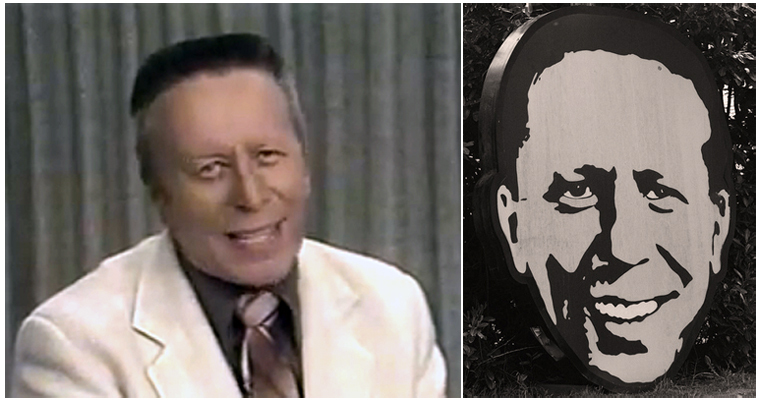 Tom Peterson was a retailer, pitchman and local television celebrity from Portland, Oregon. He was famous for his commercials pitching his regional Tom Peterson’s electronic, appliance and furniture stores. 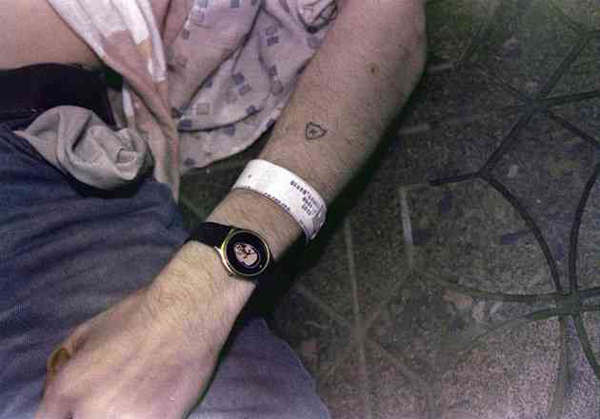 The watch was pretty much worn by Kurt everyday from January 1993 until his last days in 1994. He wore it during Nirvana’s MTV Unplugged show, the “Heart Shaped Box” music video and in countless Nirvana press photos. Courtney Love gave the watch to Kat Bjelland of the band, Babes In Toyland within days of Cobain’s funeral as a memento. 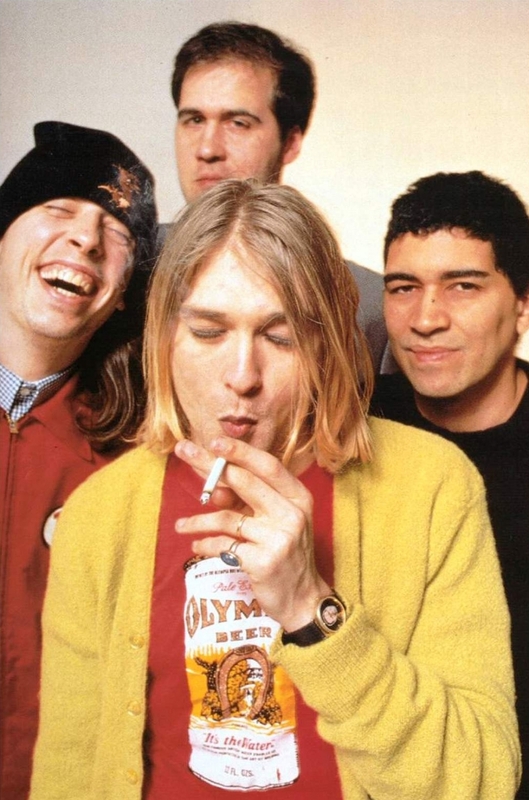 According to Bjelland, it stopped ticking one week after Kurt’s death. She decided to put the watch up for auction in 2008, claiming she did not want to be responsible for such a huge piece of rock memorablia. The starting bid was $15,000. 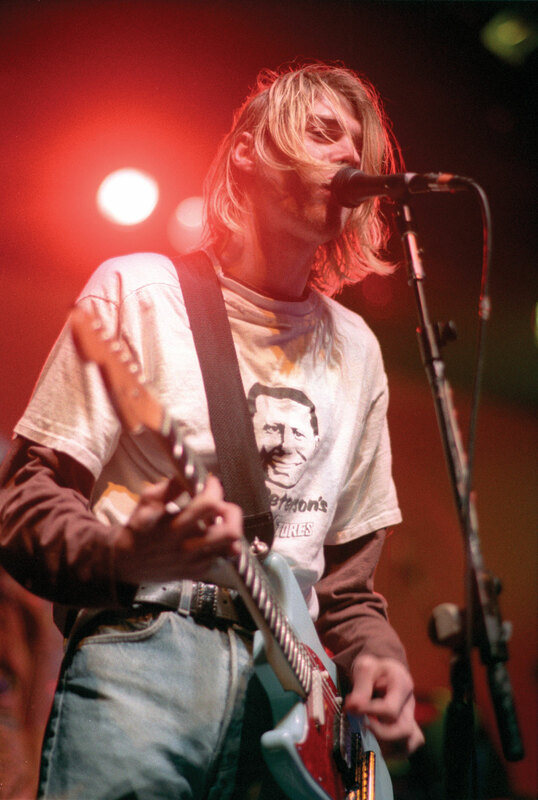 Kurt must have really like Tom Peterson because we also came across a photo of him wearing a “Tom Peterson” T-Shirt in reverse as well. Kurt tried so hard to not be cool and fashionable that it ended up making him cool and fashionable.